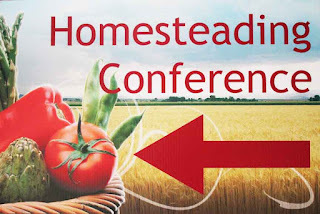 You may have noticed that we did not have the homesteading conference this year. 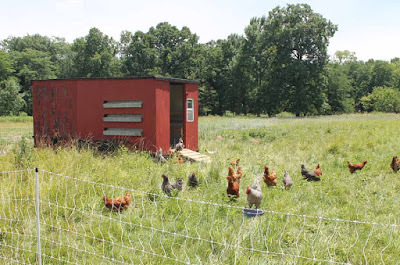 We know it's tough for homesteaders to travel because they have to find a farm sitter, so we've decided to focus our efforts on online education. In March, the Thrifty Homesteader Academy opened with its first course, Goats 101, which includes more than seven hours of videos that cover the basics of owning goats, from purchasing and housing to health, nutrition, and parasite information. Because copper deficiency is a serious problem for so many goat owners, there is a FREE course on Copper Deficiency in Goats, which includes three videos, articles, and handouts that can be printed out for easy reference. 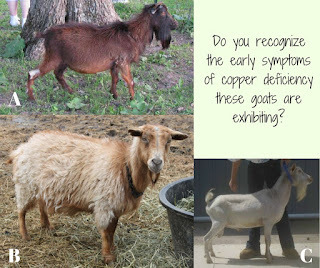 Each lesson includes a discussion board where you can ask questions, which will be answered by me, Deborah, based upon solid research on goat nutrition. In June, we launched a course in soapmaking called Coming Clean: How to Make Toxin-Free Soap Without Breaking the Bank. Although you could easily spend hundreds of dollars when you get started making soap, this course will provide a road map for spending far less. You won't need to buy soap molds or a $300 soap slicer, and you'll learn how to scent your soap with essential oils without spending a fortune. 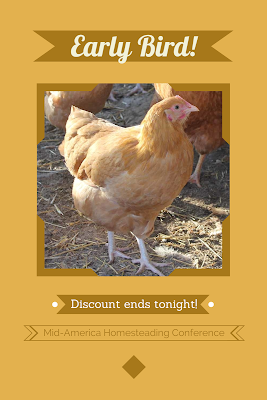 Former Homesteading Conference attendees and blog readers can use the coupon code CONF to receive 25% off any of the paid courses. And remember Copper Deficiency in Goats is free. We are currently beta testing a course on parasites for sheep and goat owners, which includes interviews with the top parasite researchers in the country. And we will also be adding a course on homestead businesses in the near future. Subscribe to stay up to date on current class offerings and specials. 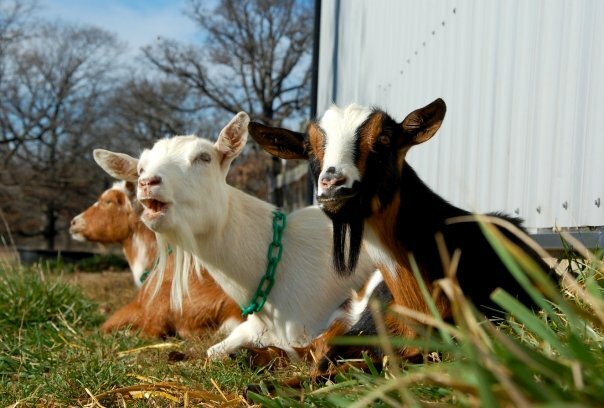 Antiquity Oaks Farm near Cornell, IL, will be hosting Goats 101 from 9 a.m. to noon and Goat Breeding & Birthing from 1 to 4 p.m. on Saturday, March 26. Goats 101 will include information about housing, fencing, nutrition, mineral deficiencies, parasites, FAMACHA, deworming, dewormer resistance, hoof trimming, and how to give medication to a goat. In the afternoon, Goat Breeding and Birthing will cover signs of heat, pen breeding vs. hand breeding, pregnancy, signs of labor, birthing difficulties, feeding kids, dam raising vs bottle raising, and special challenges with kids regarding parasites and nutrition. 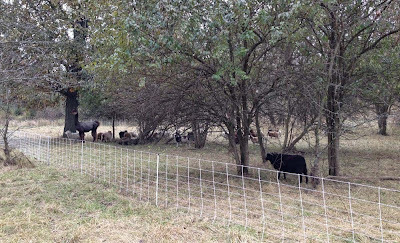 Because much of the afternoon's information is dependent upon knowing what was covered in the morning, anyone who wants to attend the afternoon class must have attended the morning class or must have read Raising Goats Naturally. Cheesemaking Basics will be held Sunday morning, March 27, from 9:30 a.m. to noon. You will see a demonstration of how to make mozzarella and queso blanco, and we'll discuss how these cheesemaking processes are similar or different from other types of cheeses. You will also learn what type of equipment you'll need to make more complicated cheeses. 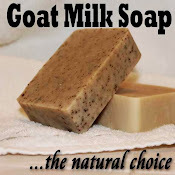 Learn to make cold process soap in the afternoon from 1 to 3 p.m. We will be making goat milk soap, but we will also explain how you can do it with water. You will see every step of the soapmaking process from beginning to end. You will also receive a bar of soap to take home and use. You can attend classes individually or all four. Click here for more information about the classes and to register. Walk-in registrations will be accepted for the conference on Saturday, but Sunday's Goat Workshop is full. We've had a lot of rain today, so be sure to bring waterproof shoes or boots because we will be walking around the farm for several sessions. Also, do NOT park on the grass because you will get stuck. We will have someone available to tell you where to park, but the important thing is to stay on the gravel driveway. Remember that GPS cannot find the farm, so you need to use Mapquest to find us. We will also have signs on the corners of our road, so you'll know when you're getting close. And there will be signs at the end of our driveway also. This past spring, we purchased a 20-year-old construction trailer and turned it into a mobile hen house. Being a construction trailer, it had essentially been an office in the past, so it was just an empty room -- or two, actually. So, we removed the wall that had separated the trailer into two rooms, and we replaced one of the outer walls that had rotting wood. 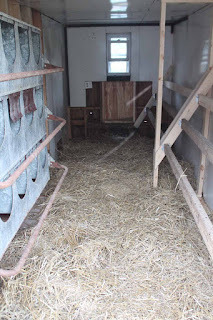 We added roll-out nest boxes, so we could collect eggs from outside, and we added roosts. 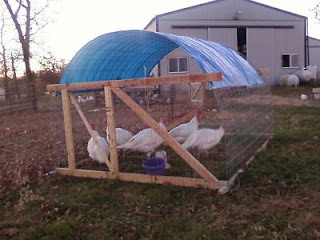 After this picture was taken, we also added a hanging feeder in the middle of the hen-mobile, and we put a metal garbage can in the corner to hold the chicken feed so that we don't have to carry it outside for every feeding. 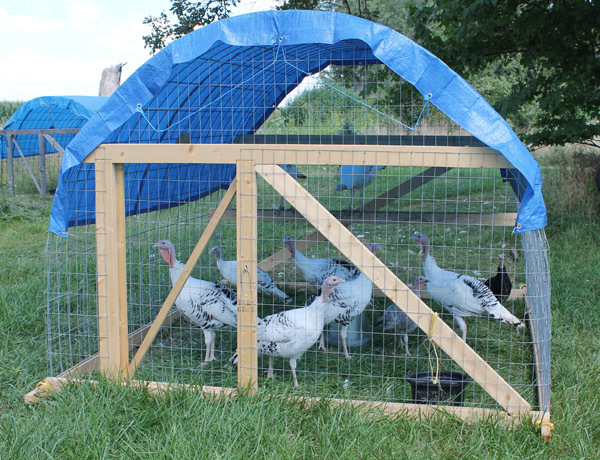 We keep the waterer outside so that the inside stays cleaner. If you attend the conference on Saturday, you will be able to get up close and personal with the new hen-mobile during the "Mobile Chicken Housing" session at 10:15. You will also be able to see the chicken tractors that we use for raising younger chickens and turkeys, and you will even have the opportunity to move one. It took us four models to get it right, and most people are surprised at how easy this type is to move. In fact, children were moving it this summer during Nature's Farm Camp. Click here to register for this year's conference. Early bird discount ends tonight! Today is the last day to receive the early bird discount on your registration. If you register by midnight, you'll receive $10 off the regular price. 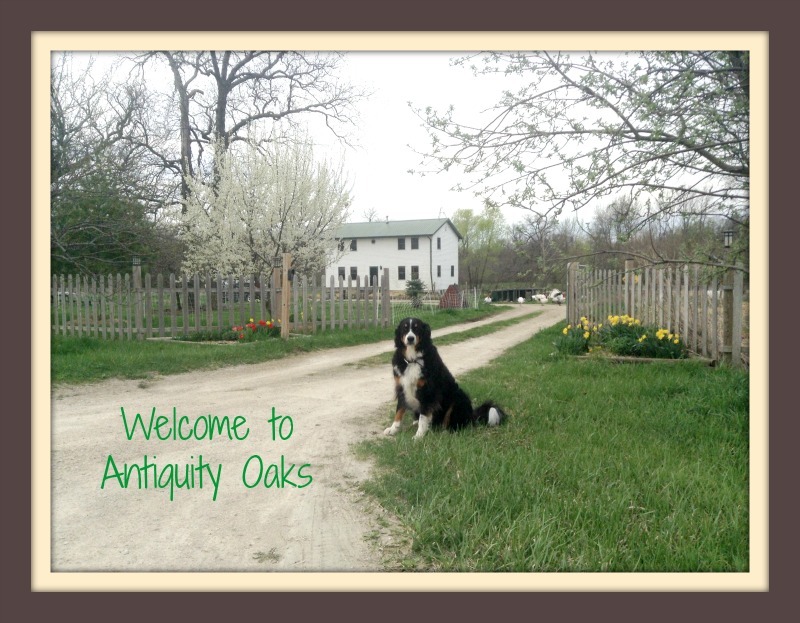 This year's conference is being held at Antiquity Oaks Farm. Most of the sessions are live demos or hands-on. We will be walking around the farm to learn more about fencing and mobile poultry housing options. You'll see how to make tinctures and salves, and you'll walk around and discover what weeds are edible and which ones can be used medicinally. You'll even see the canning and wine making process from beginning to end. Click on the "Schedule" link to learn more. If you are coming from out of town, you can camp on the farm Friday or Saturday night at no additional charge, but reservations are required. Just contact us to let us know which nights you'll be staying and when we can expect you. There is parking for two RVs and plenty of room for tents. 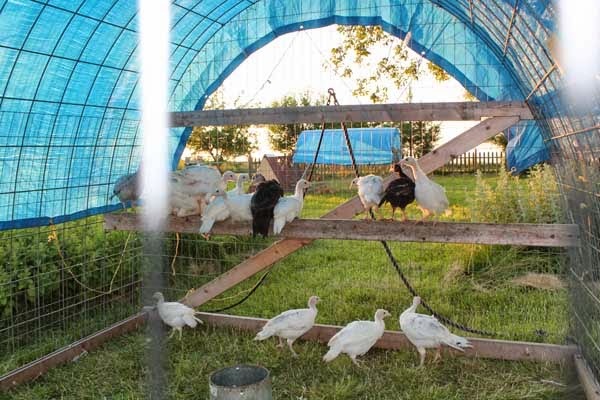 This year's conference will be held at Antiquity Oaks Farm, and we're breaking away from most of the PowerPoints and lectures and doing more demonstrations and experiential sessions. That means we'll be walking through the pastures to see and handle the fencing while we talk about which fences work best for which livestock and which ones should be avoided. We'll actually pick up, move, and re-install portable electric fencing. You'll get up close and personal with four different types of mobile poultry housing, including a new hen-mobile. We'll be canning seasonal produce, walking through the woods to learn about edible weeds, and making tinctures and salves. We'll even be making wine, so you can see and experience what it means to "rack" the wine or degas it. You'll also get to see a cob oven and learn how it was built while firing it up and baking in it. We are still working on the session descriptions, but registration is open. 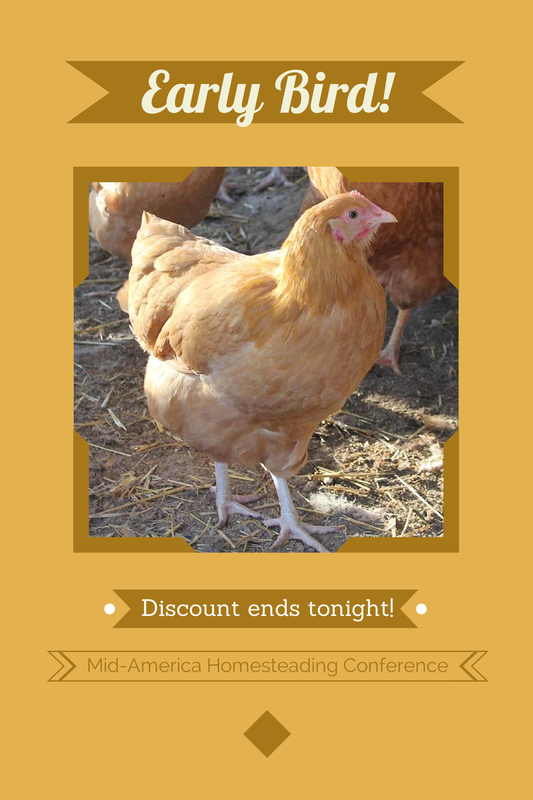 The early bird discount of $79 is available until July 31, but because we're holding the conference on the farm, we have to limit registration to only 30 people, so register early to be sure you'll be able to attend. Mark your calendars for the 2016 conference! 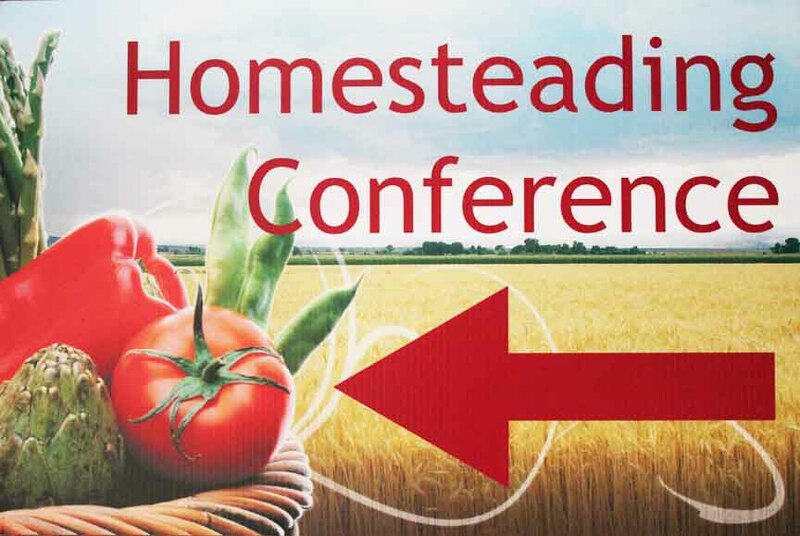 This year's conference will be held the weekend after Labor Day -- Saturday, September 10 -- and we will have homesteading workshops on Sunday, September 11. Both days will be held on Antiquity Oaks Farm, northeast of Cornell, IL and west of Odell, IL, off I-55. Many thanks to everyone who responded to our survey! We are now working on scheduling classes and workshops. If you have anything in particular you'd like to learn about, leave your suggestions in the comment section.